Observational studies of the molecular universe are driven by a range of new space missions and large-scale scale observatories opening up. With the Spitzer Space Telescope, the Herschel Space Observatory, the Atacama Large Millimeter/submillimeter Array (ALMA), NASA's Kepler mission, the Rosetta mission, and more major future facilities such as NASA's James Webb Space Telescope and various missions to Mars, the journal taps into the expected new insights and the need to bring the various communities together on one platform. 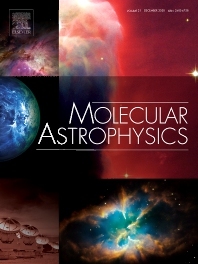 The journal aims to cover observational, laboratory as well as computational results in the galactic, extragalactic and intergalactic areas of our universe.